A franchisor should understand that it is equally hard to generate a right lead as compared to setting up a franchise. It always calls for expert advice on the same. Therefore, experts in the industry need to understand what is the right kind of lead generation techniques to be used. To hire the best franchisee for your brand. Sparkleminds, is the right franchise consulting company in India, with our team of experts we will develop an effective strategic marketing plan, which will help you generate the right lead for your business. Pondering upon how to get qualified franchise leads? Internet Inquiries – The leads that contact us through this form, are those that have directly reached, either through direct search or replied to any of your advertisements. Brands also look at registering themselves at franchise portals and get all the required leads for their business. This can be done by taking up a membership plan and they shall serve you with a suitable franchisee as per your interest. Franchise Consultant Leads – These are those forms of leads which are generated through franchise brokers or portals in the franchise industry. These potential candidates are already screened and the best have been selected for the next round. The leads generation campaigns that Sparkleminds develops and releases are totally tailor-made as per your business. It is important for the franchisor to give out a clear message to all those who come across your advertisement and wish to apply for the same. The other cost-effective form of hiring the right franchisee is to reach out to the people who know your business. This will, in turn, help you get potential leads as they will talk good about your brand in the market creating a reputation for the business. Franchise Lead Generation Portal – Contacting franchise portals is one of the most cost-effective ways to seek potential leads for your franchise. Popular franchise portal like FranchiseBazar has a good amount of database with them. The database contains a list of franchisees who wish to take up a franchise, and they can help you with a list of franchisees that have a similar interest, which matches your business needs. Franchise portals like FranchiseBazar generate leads on a regular basis via social media accounts. i.e. Facebook, Twitter, LinkedIn, YouTube and more. They also have a ground team working regularly to generate leads of good potential. Franchise Lead Broker – They work on success format, they do not charge anything upfront, but take a charge if a franchisor finds the right franchisee for their brands. Franchise Database India – There are a few franchise database companies that keep data of franchisee. Franchisors can buy data from them, segregated on the basis of – interest, investment, location, city and many more. Print Advertisement – A print form of advertising is also a great form of marketing. You can look at ads in, newspapers, magazines and many other print forms. Franchise Exhibition in India – Attending franchise exhibitions is one of the most expensive ways to garner leads for your franchise. It requires a professional approach to visit franchise exhibitions and make a conversion during the time at the expo. Sparkleminds is the right franchise portal for any brand to visit who seeks a more cost-effective and genuine lead generation method. At Sparkleminds the team of experts chalk a promotion plan for your business. We completely understand the importance of a lead and therefore, work the best ways to generate the best lead for your brand. Sparkleminds comes among the leading franchise consultants in India. Having over 2 decades of experience in the field. We also work with a large number of entrepreneurs who are looking at new opportunities for starting a business. With FranchiseBazar (a franchise portal) is among the largest franchise portal in India. They have a database of entrepreneurs at a pan India level. Ranging from all the big to the smallest cities. Therefore, we are at a stage where franchisor can expect the best lead from our end which would be the perfect fit for their franchise business. Having the right franchise advertising in place plays a major role in getting the right franchise leads for the business. Over the years Sparkleminds have worked out the best advertising plans that have been proved effective. These plans have helped franchisor recruit the right franchisee. If you have Business Expansion as your priority, then we can help you scale up quickly. Franchise advertisement in India have over the years, changed drastically. Companies now give a lot of crisper and totally targeted Franchise advertisements. Franchisors have understood that it is important to advertise only for those which could become your potential franchisee in the near future. Doing mass advertising is of no use and a waste of money. The marketing campaign too should be addressed to the right target audience of your business. The marketing team at Sparkleminds is structured in such a way that, we build, design and plan the right SEO and SEM for your business. All the advertisements carried out by us is tracked and measured, giving you real-time data. Franchisors can visit FranchiseBazar and list their brand on the portal. You will also have to choose the right advertising plan for your franchise. A complete end to end solution is provided here. We reach out to all the entrepreneurs seeking a new business annually. We also become a part of franchise shows and build a strong network with the people there. we also explore opportunities in Tier-II and III cities for a better market reach. Digital marketing is the future of marketing. Franchisors are making the most out of this. With digital marketing, franchisors can now market to only those which match their requirement. Doing this helps them cut cost and also generate leads, which are authentic and fruitful. Though marketing through the internet can be fruitful, it could also turn the tables wrong. It is important to understand that using which form of digital marketing will help you get the right lead for your business. There are a lot of forms of digital marketing i.e. LinkedIn, Twitter, Facebook, Ads and more. Understanding your target audience and using the right form of advertising is hard. Here, we at Sparkleminds come for your rescue. With a team of digital marketing experts at our backend. We design and execute the perfect digital marketing strategy for your leads. Sparkleminds has time and again used all the forms of digital marketing to generate leads to different types of industries. Sparkleminds completely understand the advertising mediums to be used to generate a certain type of leads. Do you know email marketing is one of the most cost-effective ways to generate a targeted and authentic leads for your business? This method is used for a decade now. To have an effective email marketing in place. You will need a database of email ids that have the set targeted audience whom you wish to target. For this you will have to get in touch with franchise portals that could have a list of details of franchisees which match your requirement, making use of the list will give an immense boost to your lead generation list. FranchiseBazar is your answer to seek details on a franchisee list. They were the leading franchise portal in India. Entrepreneurs are invited to get registered and update their email ids, which we use for our database. Once this is done the backend DM team send regular emails and messages to these fixed set of franchisees to keep them updated about your opportunities. It also includes newsletters and more. By this Sparkleminds aims at connecting tier – I, II and III cities, towns etc. Create a target audience-oriented campaign. Keeping content short and precise. Having a message consistency throughout the mailing. The message interpretation should be the same for everyone. The franchise proposal to the entrepreneur should consist of the following. Functions of the Franchisee with instructions. From the above, we can understand the importance of email marketing. Having done the right email market will reap profits for both the franchisor and the franchisee. A franchisor who is looking at a multi-franchise model for multi-location, state etc. Will need a different pitch for each location. Therefore, we at Sparkleminds have a team of email marketers who can get you best franchise lead generation for your business. Get in touch with us and with our team of email experts and get the most out of our service. Online marketing franchise opportunities in India is the future. Companies have moved out of the old and traditional forms of marketing. Traditional forms were a lot expensive and hard to target the right audience. Online marketing opportunities are huge as people are more inclined to online media. Due to the large presence, brands find it easy to address a larger audience at a pocket-friendly cost. Marketing campaigns can be a target to a specific audience as per the franchisors demand. You can also look at addressing a micro market through an online marketing platform than the traditional one. At Sparkleminds our digital marketing experts can provide you with the best leads using all the local online marketing tools. 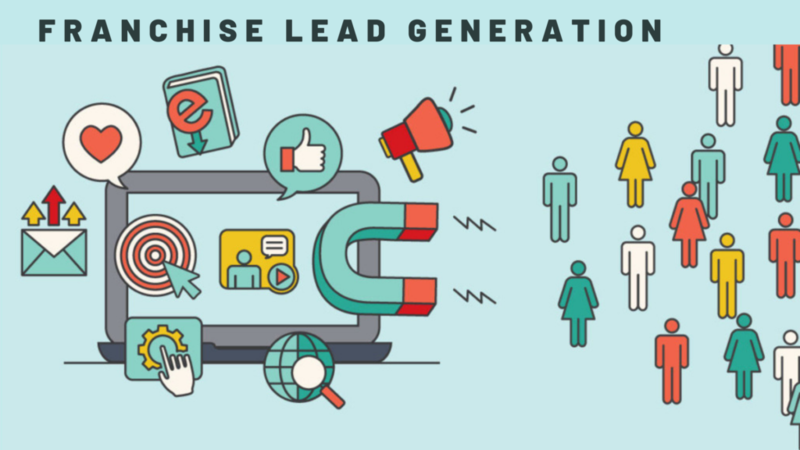 Leads are generated as per franchisor’s interests.